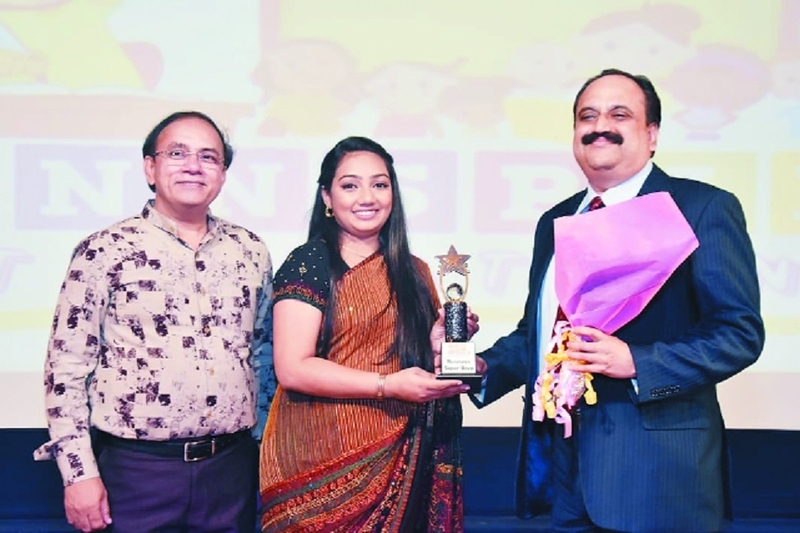 Business Superhero’ award n Business Bureau Winnspire International Preschool, Mumbai celebrated its first annual day on April 5 at P L Deshpande Maharashtra Kala Academy, Dadar (West), Mumbai. Director of VICCO Sanjeev Pendharkar graced the occasion as chief guest while Shashikant Khamkar, Chairman of Winners Life Training and Consultancy was guests of honour. Pendharkar, who is a role model for many in the entrepreneurial world, was felicitated with the award of “Best Business Superhero” on the occasion. Extending his thanks to the Winnspire International authorities, Pendharkar said, “I feel extremely humbled and delighted to be receiving this award and this love and appreciation showered by you, further strengthens the commitment of VICCO towards achieving our vision of healthier and wholesome community.” He also spoke about his entrepreneurial ride and how VICCO has become the most undisputed names in the personal care industry. The event witnessed a colorful array of dance and musical performances which left the audience mesmerized. Pendharkar, Khamkar, Jyoti Khamkar and Director of the school Deenal Bamania ALO also launched the three new programmes of Winnspire International Preschool- Mother Toddler, Brain win (Midbrain Activation), Teacher’s Training Programme for the upcoming year 2019-20.